I have changed my hotel before the date to join this activity and Kloop helped change the booking for this activity with smooth process and confirmation, i really appreciated that. Besides the original schedule, the tour also took me to Ferrari world theme park entrance to take few photos which is unexpected and i really like it. Also the tour well prepared the dress code for Mosque as our team not 100% wearing the correct dress code. Everything is smooth and enjoyable. This day tour of Abu Dhabi begins with a pick up from your hotel in Dubai before departing for Abu Dhabi. 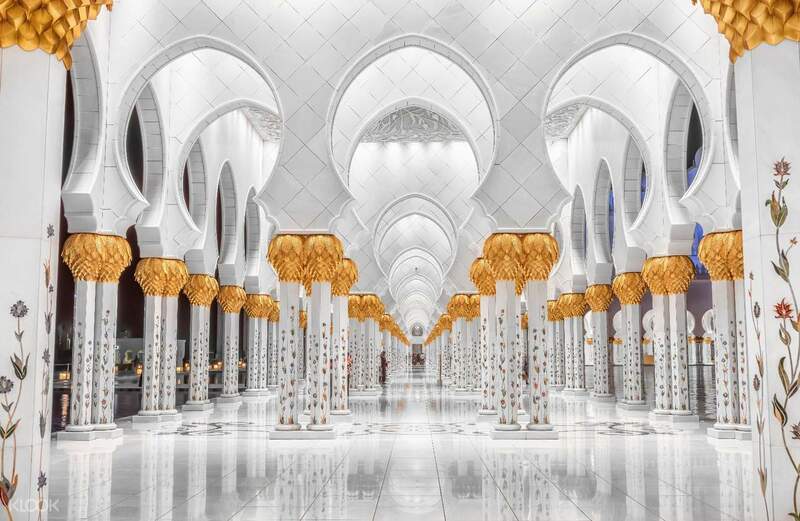 Your first stop is the grand Sheikh Zayed Mosque, one of the grandest in the entire country, and one of the foremost places of worship in the area. Then you head to the splendid Emirates Palace Hotel to see its incredible architecture and grounds. 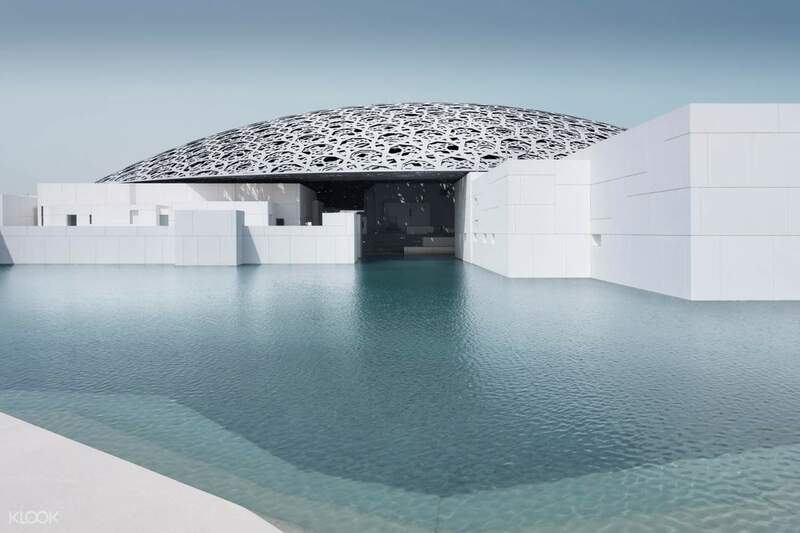 After a lunch stop at the Heritage VIllage, you'll head on to the Louvre Abu Dhabi, which, like its French namesake, holds an incredible collection of artwork. 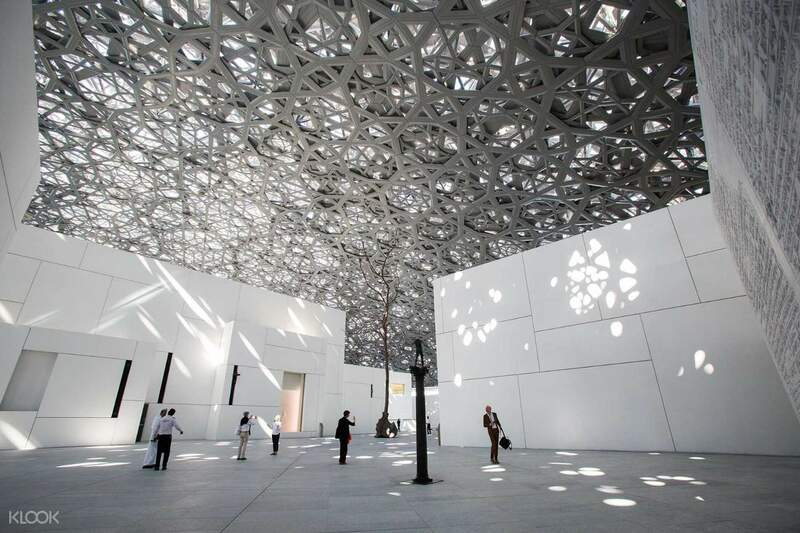 Told over 12 different galleries, the story of humanity is condensed into a 90-minute experience within the museum. This day tour is a wonderful way to see the colors of Abu Dhabi from various angles. Pros: Beautiful Mosque, Lourve , Ferrari World Cons: We felt cheated with the agency who did the tour. ( Rayna Tours) I must highlight this because we had to spend close to AED200 for our taxi to go and wait at different spot for the pick up as someone from Rayna Tours texted me the night before to inform that pick up from hotel is not possible. They also dropped us back at some area that we can get cab back to hotel. Honestly Not happy with this service at all!! I was traveling with a 64 years old mom and this is a no JOKE . In the morning they supposed to pick up from our hotel abt 830am but we had to leave our hotel early and took cab to another waiting point. TOO MUCH HASSLE and honestly why would i need to spend AED200 additional for this? They didnt even bother to even apologies. Pros: Beautiful Mosque, Lourve , Ferrari World Cons: We felt cheated with the agency who did the tour. 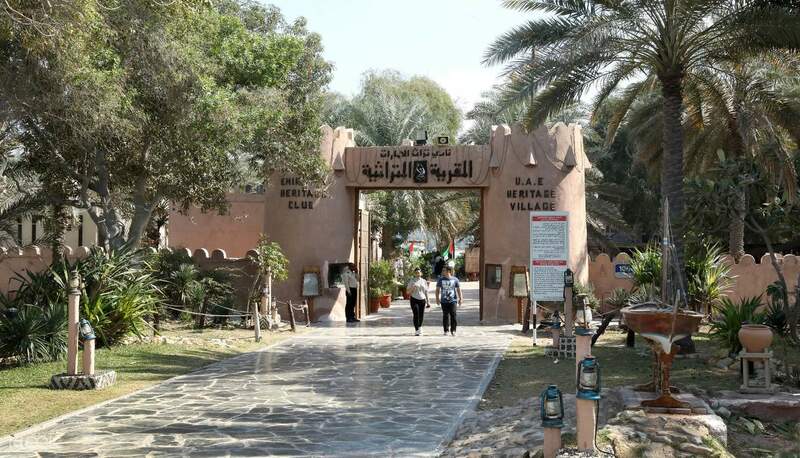 ( Rayna Tours) I must highlight this because we had to spend close to AED200 for our taxi to go and wait at different spot for the pick up as someone from Rayna Tours texted me the night before to inform that pick up from hotel is not possible. They also dropped us back at some area that we can get cab back to hotel. Honestly Not happy with this service at all!! I was traveling with a 64 years old mom and this is a no JOKE . In the morning they supposed to pick up from our hotel abt 830am but we had to leave our hotel early and took cab to another waiting point. TOO MUCH HASSLE and honestly why would i need to spend AED200 additional for this? They didnt even bother to even apologies. Although we had delays due to the pick-up of the other guests, the trips to the Grand Mosque, Louvre Museum and the Ferrari World were very amazing. In my opinion, the visit to Miraj Museum was unnecessary and waste of time. Although we had delays due to the pick-up of the other guests, the trips to the Grand Mosque, Louvre Museum and the Ferrari World were very amazing. In my opinion, the visit to Miraj Museum was unnecessary and waste of time. Our driver was great and very friendly. The tour did not go according to the original schedule since it was ramadan, but all the spots were covered. louvre was great! We did not expect to see such a great collection! Our driver was great and very friendly. The tour did not go according to the original schedule since it was ramadan, but all the spots were covered. louvre was great! We did not expect to see such a great collection! I have changed my hotel before the date to join this activity and Kloop helped change the booking for this activity with smooth process and confirmation, i really appreciated that. Besides the original schedule, the tour also took me to Ferrari world theme park entrance to take few photos which is unexpected and i really like it. Also the tour well prepared the dress code for Mosque as our team not 100% wearing the correct dress code. Everything is smooth and enjoyable. I have changed my hotel before the date to join this activity and Kloop helped change the booking for this activity with smooth process and confirmation, i really appreciated that. Besides the original schedule, the tour also took me to Ferrari world theme park entrance to take few photos which is unexpected and i really like it. Also the tour well prepared the dress code for Mosque as our team not 100% wearing the correct dress code. Everything is smooth and enjoyable. Great tour guide!!! Clear explanation as we drove past and stop by the different scenic spots. Excellent tour and comfortable private transport. Great tour guide!!! Clear explanation as we drove past and stop by the different scenic spots. Excellent tour and comfortable private transport. I super duper loved the experience! Met the nicest tour guide and even got along with my fellow tourists who are now my close friends. The tour, though have a fixed schedule, is still very flexible because the driver allows us to take our time and enjoy the sights. I super duper loved the experience! Met the nicest tour guide and even got along with my fellow tourists who are now my close friends. The tour, though have a fixed schedule, is still very flexible because the driver allows us to take our time and enjoy the sights. Nice tour. Well time scheduling. Nice tour. Well time scheduling. For the booking itself, it’s very great, easy and cost saving!! However, there is a BIG communication gap between the driver and the tour opearator. We were told to be at the hotel lobby 08:30-09:00 in both email and WhatsApp sent, however, we were being blamed TO BE LATE even when arrive at 08:27!!!!! The driver said he arrived hotel at 07:45, this obvious is not our fault. After that he used 40mins to pick another guest as he cannot get the exact address and guest’s contact number (just 5mins drive away from our hotel)!! Highly suggest the tour operator and the driver MUST sync the same pick up time and guest contact info to avoid miscommunication!!!!!! This Abu Dhabi is really GREAT and worth for money, will visit again. The guide is so nice to bring us to the Farreri World and Date Market too. For the booking itself, it’s very great, easy and cost saving!! However, there is a BIG communication gap between the driver and the tour opearator. We were told to be at the hotel lobby 08:30-09:00 in both email and WhatsApp sent, however, we were being blamed TO BE LATE even when arrive at 08:27!!!!! The driver said he arrived hotel at 07:45, this obvious is not our fault. After that he used 40mins to pick another guest as he cannot get the exact address and guest’s contact number (just 5mins drive away from our hotel)!! Highly suggest the tour operator and the driver MUST sync the same pick up time and guest contact info to avoid miscommunication!!!!!! This Abu Dhabi is really GREAT and worth for money, will visit again. The guide is so nice to bring us to the Farreri World and Date Market too.